Apple shares were up more than three percent to USD125.19 in after-market trades that followed the release of the earnings results. Apple has reported a rebound in iPhone sales to lift the tech giant to record revenue in the past quarter in quarterly results that eased concerns about slowing growth. The results showed strong demand for Apple's iPhone 7 models launched last years, even as profits dipped 2.6 percent to USD 17.9 billion. Revenue climbed to an all-time record USD 78.4 billion compared with USD 75.9 billion in the same period a year earlier, the company said on Tuesday in its earnings update for the fiscal first quarter ending in December. The growth promised to assuage concerns by investors that iPhone sales, which account for the bulk of Apple's revenue, were softening due to three-quarters of sequential decline. "We're thrilled to report that our holiday quarter results generated Apple's highest quarterly revenue ever, and broke multiple records along the way," Apple chief executive TimCook said in the earnings release. "We sold more iPhones than ever before and set all-time revenue records for iPhone, services, Mac and Apple Watch." The amount of money taken in from online services and digital content grew strongly, led by unprecedented customer activity at Apple's online App Store, according to Cook. "I have not yet done the numbers, but I think Apple had the best quarter in the history of humanity," Asymco analystHorace Dediu said in a comment fired off on Twitter. Apple, however, did see revenue in its important China market drop 12 per cent to USD 16.2 billion, according to the earnings report. Neil Saunders, managing director of the research firm Global Data Retail, said Apple delivered a strong report and eased concerns it had hit a bump in growth. 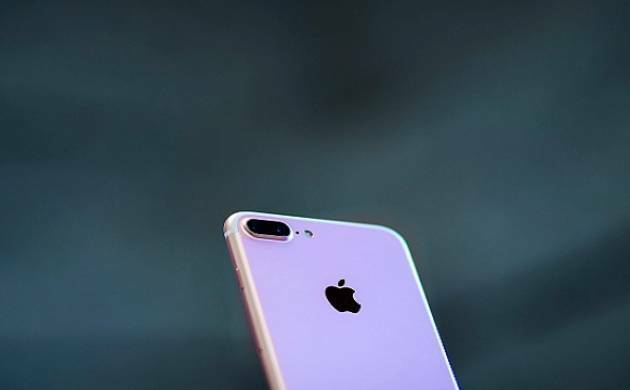 "The iPhone 7 will be a much steadier contributor and we would argue that the new model has been a success," Saunders said in a note to clients. "While it is arguably not a groundbreaking step forward in terms of new features and functionality, it is clear thatApple did enough to stimulate interest and persuade many consumers to upgrade." But Saunders said Apple "cannot afford to take its eye off the ball," noting that "competitors, including Google and Amazon, are still nipping at its heels with new products and ideas -- so it needs to speed up, even if it is just to standstill." Some analysts say Apple remains too dependent on theiPhone and that it needs to better diversify its revenues amid Apple said services revenue grew 18 percent from a year ago to USD 7.2 billion, while "other" products including the Apple Watch, brought in USD 4 billion. a sputtering smartphone market and intense competition.